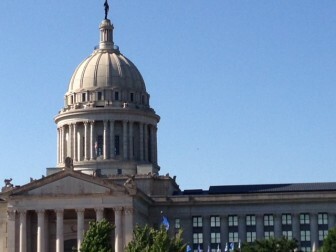 Pregnant women who use drugs could face criminal penalties under a measure working its way through the Oklahoma Senate. SB 559 would change the definition of assault to include the illegal use of a narcotic drug by a child’s mother while the mother is pregnant. A woman found guilty would face a misdemeanor charge, possibly 30 days in jail and a $500 fine. However, if the child dies as a result of the drug use, the assault would be considered a felony and the woman would face a prison sentence of not more than five years and a $500 fine. The measure’s author, state Sen. Bryce Marlatt, R-Woodward, said he filed the bill after getting reports about drug use by pregnant women. “It’s (the bill) is an attempt to hopefully curb some of this,” Marlatt said. Marlatt acknowledged the measure had generated “some pushback” from several other senators. “They said it would be a slippery slope and worried that we would start legislating against alcohol and smoke and other things like that,” he said. A 2013 report by the Oklahoma Department of Human Services indicated that 320 infants tested positive for drugs, including marijuana, methamphetamines and cocaine. Marlatt’s bill passed the Senate appropriations committee, 37-0. He said he expects the measure to be heard by the full Senate next week. The Oklahoma Legislature’s Black Caucus plan to ask University of Oklahoma President David Boren to suspend fraternity students involved in a recent racist incident.